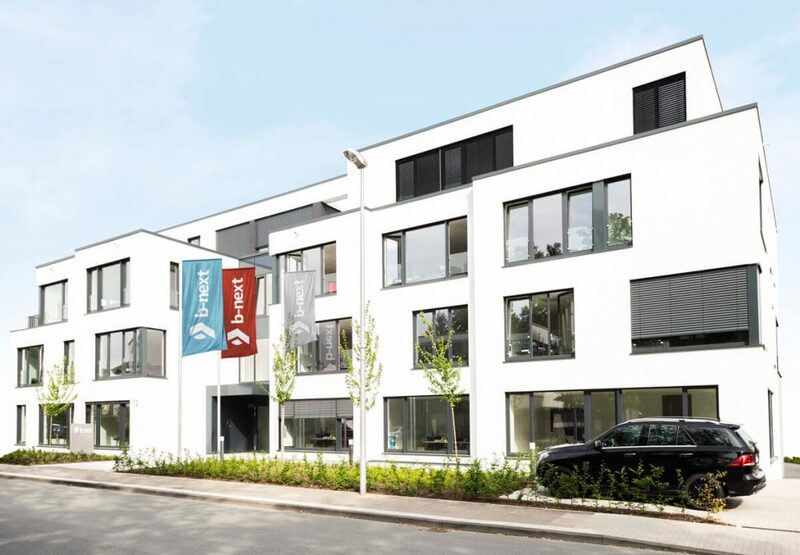 Founded in 1989 in Herford, Germany, b-next has grown steadily and continuously for more than 25 years. Our international presence extends to the largest financial centres in Europe, the United States and Asia. This reach ensures we provide first-class support to our global customers. Welcome to our Global Headquarters! At our state-of the-art headquarters in Herford Germany, we have created a working environment where innovation and collaboration thrive. Our workplace has been designed so new technical concepts, competencies and creative ideas can be nurtured and developed under optimal conditions. This not only makes our headquarters a great place to work, but also demonstrates our deep commitment to future growth and excellence.